Pre orders for the Web Exclusive S.H.Figuarts Apollo Geist and Ultra Act King Gridman are still on going, and updated photos from the Tamashi Nations show room in Akihabara gives us our first in hand look at these fourth coming figures. 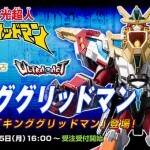 Both Apollo Geist and King Gridman are due out in August for 3990 yen while King Gridman will retail for the more expensive price tag of 6,300 yen. Among many other updates on the Bandai Tamashii Site today comes a surprise! Only discovered yesterday in a Figure-Oh Scan, the Tamashii site has fully revealed Ultra-Act King Gridman! 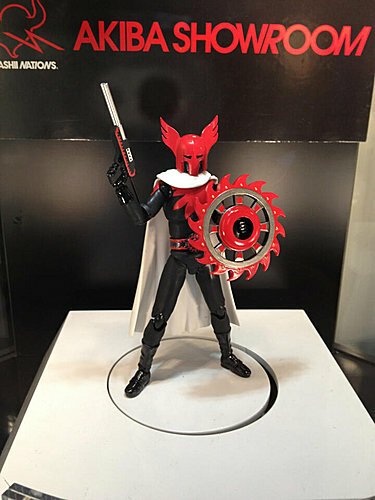 This figure will be released in August as a Tamashii Web Exclusive for 6,300 yen. If you’re a fan of Denkou Choujin Gridman or Superhuman Samurai Syber-Squad then King Gridman is a must own! It’s exclusive time once again! Thanks to a Figure-Oh magazine scan, and Tokunation user Kamen Blitz, we can confirm the list of August Tamashii Web Exclusives! The quartet of upgraded Dragon Styles for Wizard are rounded out, Beast’s upgrade makes its debut, 2 more Boukengers can be marked off the list with a 2-pack (Win! 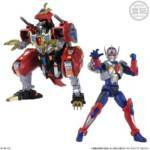 ), and Gridman gets his third release in the Ultra-Act line with King Gridman! We can only see the King Gridman price currently but the others should be revealed shortly! This issue also confirms the Showa Shocker Solider Grunt for a mass retail release. Troop build to your hearts content!